The Legend of Zelda: Breath of the Wild is the biggest and most open Zelda game to date and to make it slightly easier to navigate this sandbox Hyrule, fans have created an interactive Google-style map. A collaborative community effort of the Zelda Universe fan site, the map is an impressive feat but it’s also stuffed to the brim with spoilers for anyone that’s not completed the game. If you’d rather find everything in the game yourself we’d suggest not looking at this just yet. It's not everyone, however, that has the time to find everything, so if you need some guidance this is a useful place to go. Similar to Google Maps, this click-and-drag map of Hyrule marks out significant locations which include weapons and equipment, side quests, shrines, collectibles and enemies. Each point of interest on the map is color coded to make it easy to find what you’re looking for or what may be around you at a glance. The map is only in the early stages of its development but it’s already extremely useful and its creators are inviting everyone to pitch in via a Google form with things they’ve found that haven’t been added. The development team hope that eventually they’ll be able to chronicle every single location of interest from the game and transform the eagle-eye map into one with more Google Street View capabilities to allow users an even closer look. 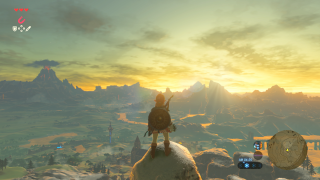 Don't forget to check out our tips and tricks for Breath of the Wild for more adventuring advice!